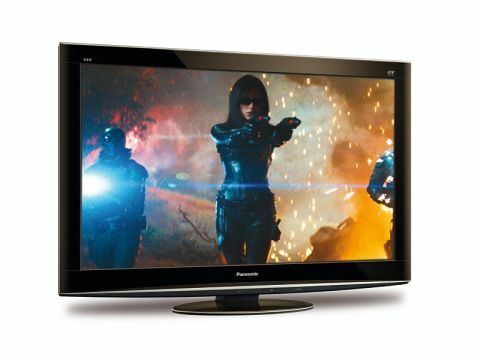 Panasonic is the only manufacturer to challenge the LCD hegemony of Samsung, Sony and LG with a 3D-capable plasma. Its latest (13th) generation Neo PDP panel hails from impeccable stock: the 2D TX-P42V20 impressed us deeply, as did the step-down TX-P42G20, of which there is also now a 3D version. There are minor differences between the GT20 and this VT20: the step-up model has an additional speaker, comes with a wireless LAN adaptor and has Infinite Black Pro contrast rather than mere Infinite Black. It certainly isn't the case that there is anything remotely amateurish about the contrast performance of the non-Pro version, but Panasonic claims that the latter incarnation delivers more consistent black levels. The extra speaker should boost the audio performance by a welcome 50 per cent, and while the wireless LAN adaptor might not sound much of a big deal, it makes networking significantly easier in practice. One final difference is a tweak to the P42VT20B that reduces its plasma cell decay time, seen as an important weapon against 3D crosstalk. The P42VT20's styling lacks the panache that the LED crowd has shown of late. It's certainly not an offensive-looking beast, but there is nothing about the rather uninspiring gloss black frame that suggests this is the most technologically advanced 42in plasma ever made. Still, it's what's on the inside that counts: there are plenty of fancy-looking TVs that fail to deliver in the picture department.